Tesla Inc.’s balance sheet still sending out alarms for the perennially cash-strapped electric-car making firm and the possibility of a bear market will not make things any easier. Should you be buying or selling Tesla's stock? 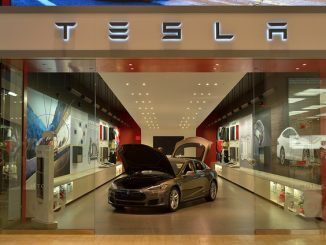 There is a steadily growing concern among traders regarding Tesla‘s (NASDAQ: TSLA) stock in Wall Street as Elon Musk, the company”s Chief Executive Officer, is yet to deliver in his promise to turn the company profitable. After the firm raised capital in March, not to mention requesting an “advance” for every customer who reserved a Model 3, the prognosis still remains grim. At the end of the year, banking giant Citigroup estimates that Tesla’s cash on hand on its books will fall to $1.1 billion signaling another capital raising activity. Additionally, the fact that Tesla is spending so much more cash than what they’re bringing in, and what’s more: without a great product in sight, is making its investors even more nervous. Their worries are well founded as a matter of fact. After the firm’s most recent capital raising activity pooled around $1.15 billion, making Tesla’s cash on its books reach $4 billion at the end of the first quarter. However, Citigroup’s analyst Itay Michaeli predicted in a note to investors last week that this figure will fall to about $1 billion by the end of the year. Furthermore, with no word on the Model 3, its first mass market car whose production had been scheduled to begin in July, Wall Street is quite certain that Tesla won’t be making any profit in FY2017, projecting an EPS loss of $5.76 per share (t-12 currently prints red $4.75) while remaining skeptical about next year as well with a prediction of ($0.60) per share. All these financial woes indicate the need for a major influx of cash but if the risk of a bear market materializes – remember, the sell of in oil and the entire commodity complex continues. That suggests that global demand is weak – any kind of attempt to raise new capital with a depreciating stock value will be quite expensive. So needless to say, timing remains a critical factor in Tesla’s attempt to raise more cash. Michaeli’s report recommends that the firm needs to raise $5 billion to have a proper cash buffer for its operations and should start no later than August. It will be a tall order, though, if chances for a bear market persist and stock prices start falling. After the abrupt resignation of Jason Wheeler in March, Deepak Ahuja returns to Tesla as CFO just in time when the firm is in dire need of someone with critical experience in financial engineering to match the odds it is facing today. 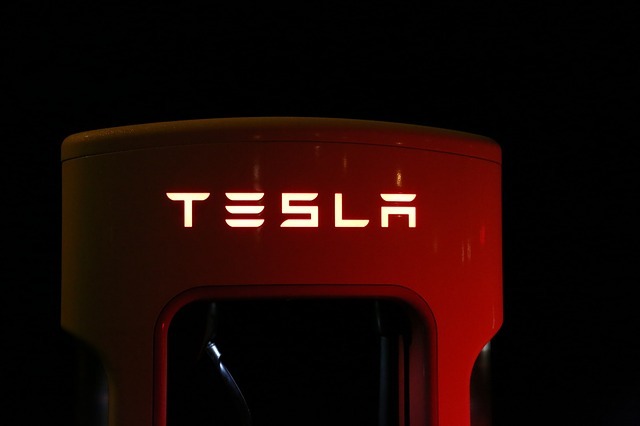 In June, Wall Street’s big banks providing a revolving credit line for Tesla increased the amount that the firm can borrow which can be seen as a step in the right direction but one however, that isn’t really going to plug the proverbial holes in the boat. And that means Tesla will still have to be very careful in their approach. If the past is any indication, their strategy would, once again, lean toward taking a mix of long term and short term loans along with selling of additional stock. It is interesting to note that of the $1.15 billion raised capital back in March, $250 million came from issuance of new stock, but everyone knows that bear market conditions (if they start developing, that is) are not ideal to sell new shares if Tesla wants to maintain a certain level of investor confidence. With the steady decline in share value, raising capital would require selling more shares than usual and would ultimately dilute the holdings of those who bought shares before the offering. Note how this is already in the wake of a pretty good 2017 economy. Any unexpected downturn will unavoidably result to a much weaker TSLA price and an even harder blow against Tesla. On the other hand, $750 million of the raised capital back in March came from raising debts by issuing convertible bonds. This seems like a more viable approach in spite of the market’s low opinion on Tesla’s credit quality because of its 6.1% maturity yield which still makes it a cheaper form of debt. In general, there is still a very optimistic view on Tesla because of its high potential as a breakthrough firm on sustainable energy electric vehicles. But when a firm’s stock value is dependent almost entirely on its future profits, the risk is no doubt, considerably high. The process of establishing a mass market production of the Model 3 is quickly burning into the firm’s cash with only the expected profit from a technology far ahead from its competition holding investors from selling their shares. This means that the firm will have to depend on cash and take on a lot more debt in order to keep it afloat and reach its growth goals. Those who wish to invest in Tesla’s stock should be looking into a long term goal while keeping in mind the possibilities along the way. For one, the firm’s recent entry into a deal with China can go either way in terms of putting value in profits far into the future. It should also be a good idea to get a hold of the firm’s earnings report once it’s released in August 2nd and review the numbers for cash expenses and cash the firm has left on its balance sheet as these are likely to be the only buffer to Tesla’s stock. We should also keep in mind though, that Elon Musk and his team are dead set in dominating the EV market which can justify the risk with the benefits. The firm has already weathered a lot of big storms and doesn’t seem to be planning on stopping any time soon. That said, however, from a technical perspective, Tesla stock has spiked more than 50% this year versus the S&P 500’s 14% return through Friday, which suggests that at current levels, $328 and change, and despite a nearly 60 point deterioration from 52-week highs, the name remains overbought.